It’s now online, but still in beta stage. 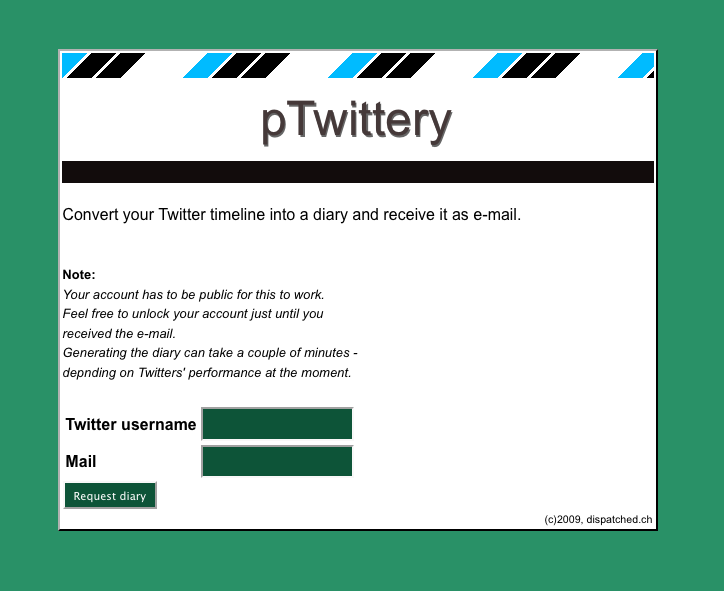 With pTwittery.com you may export all your tweets (aka timeline) into a diary. Your personal diary will then be sent to you via e-mail. If you liked this article, please feel free to re-tweet it and let others know.